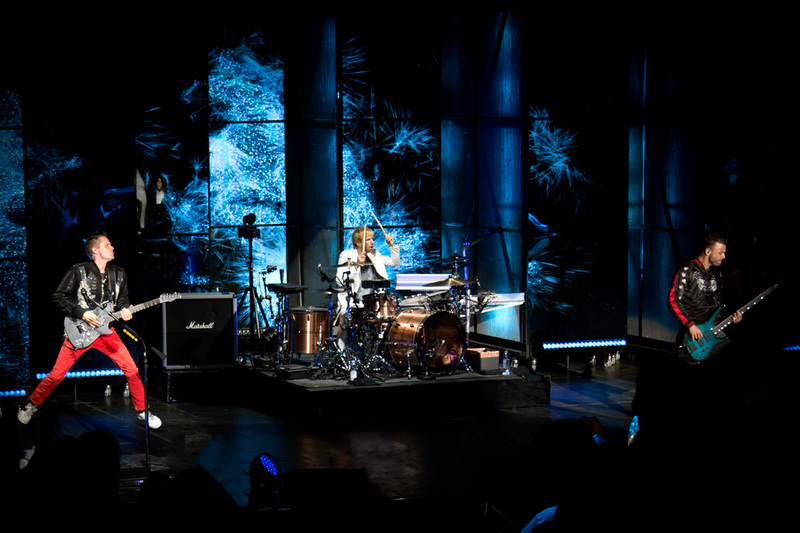 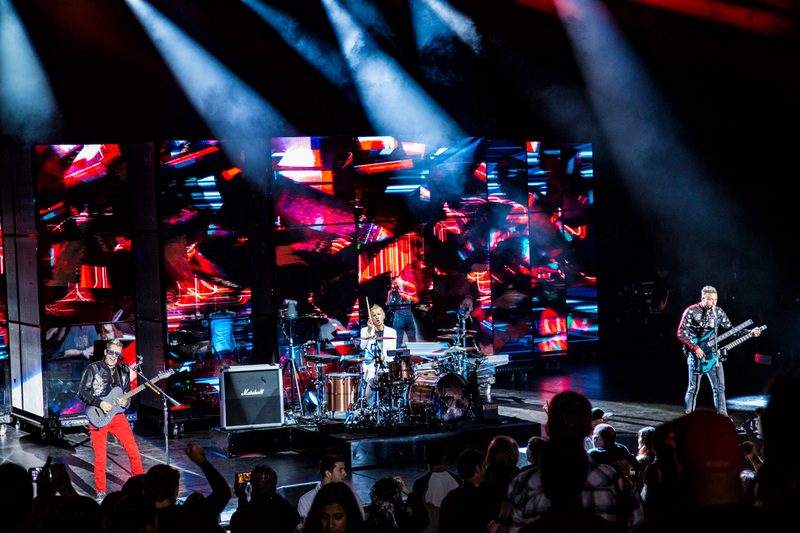 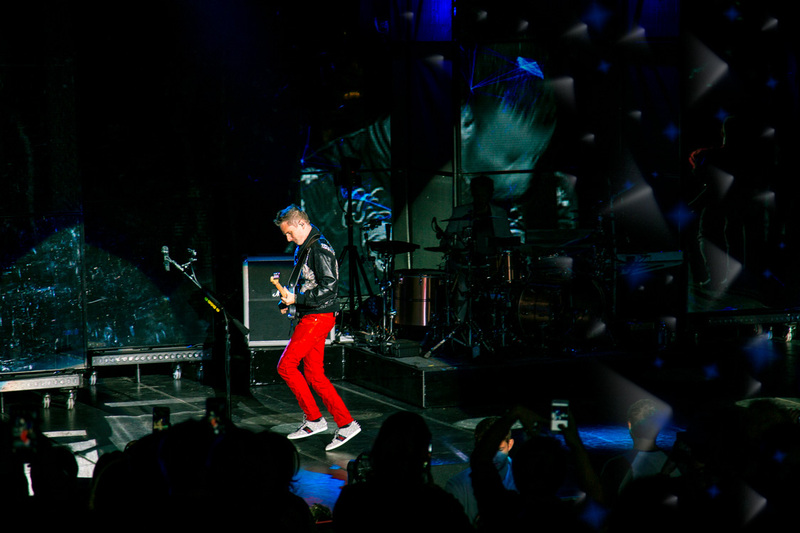 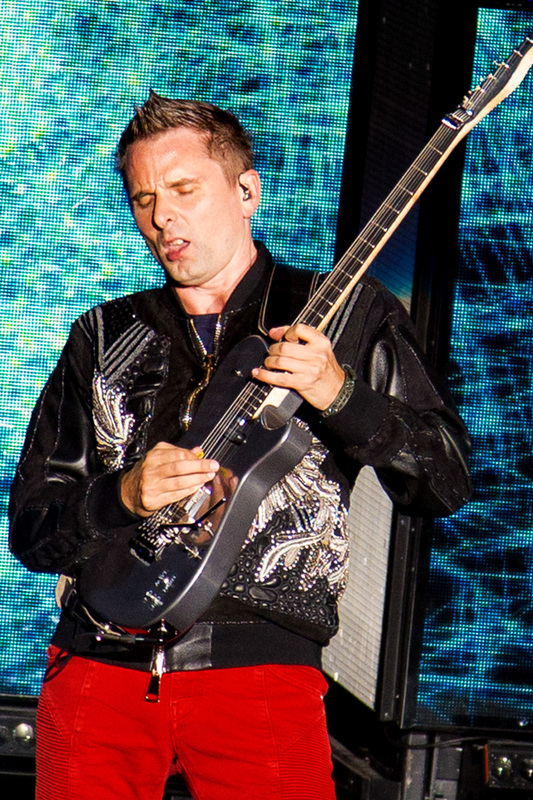 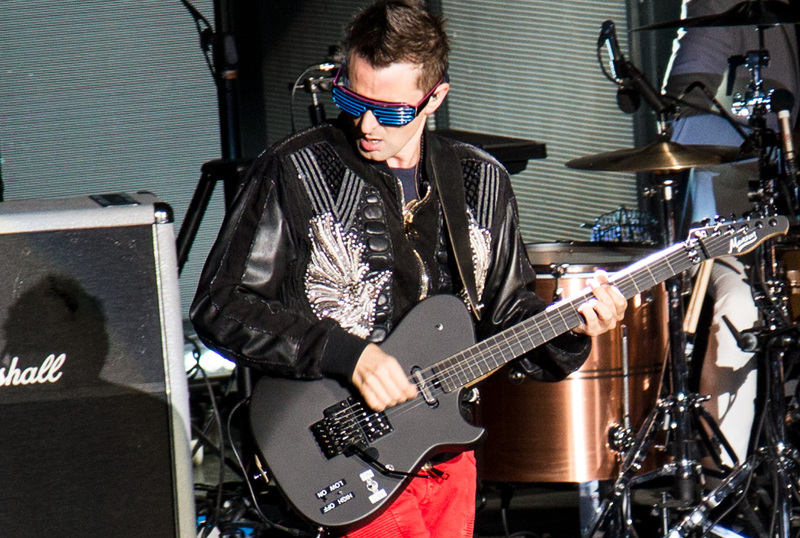 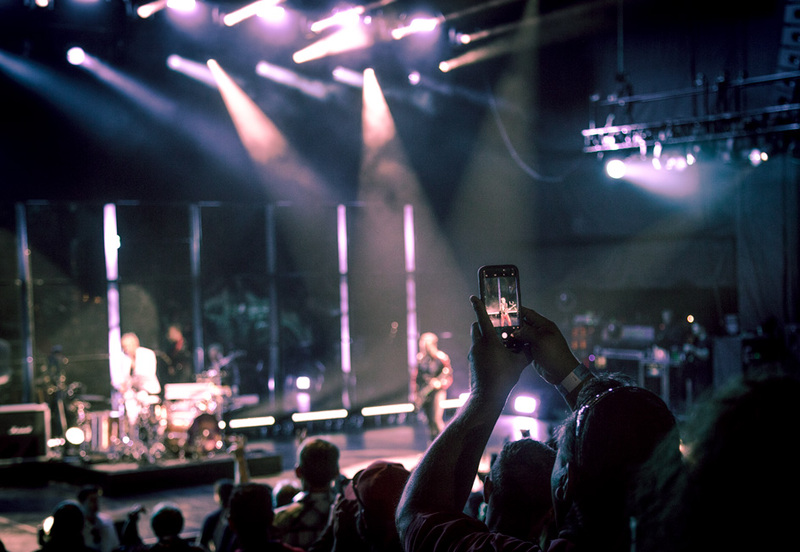 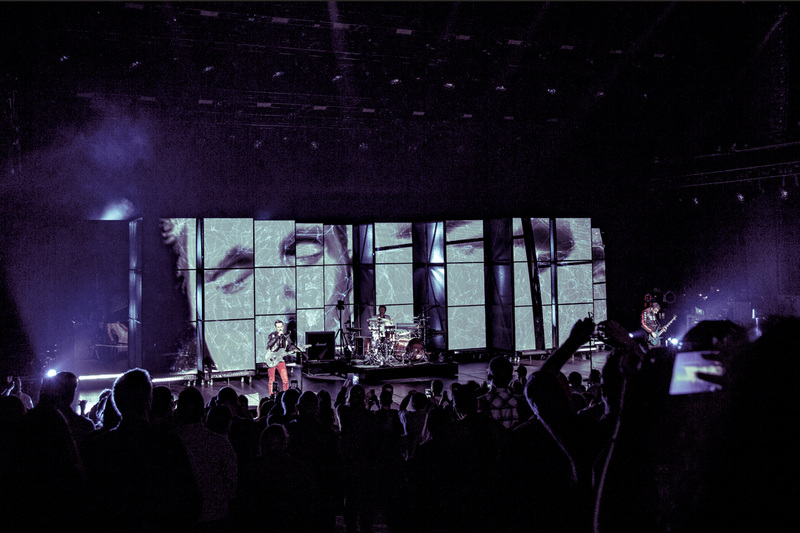 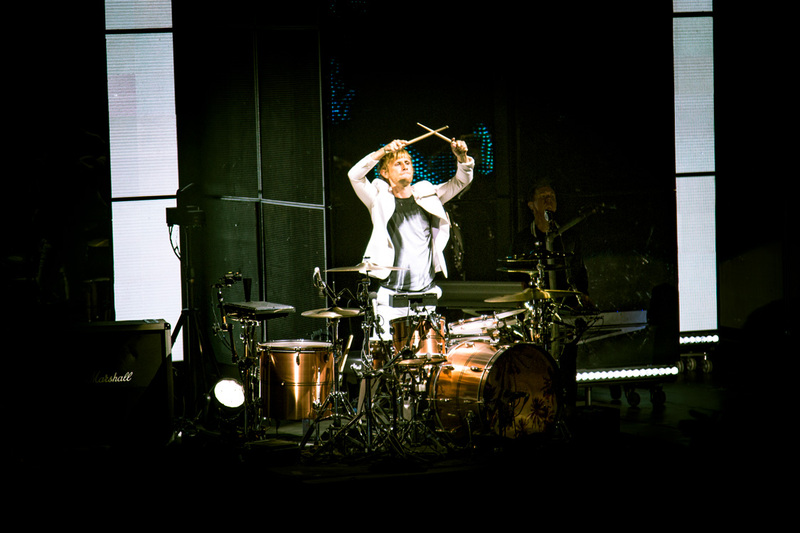 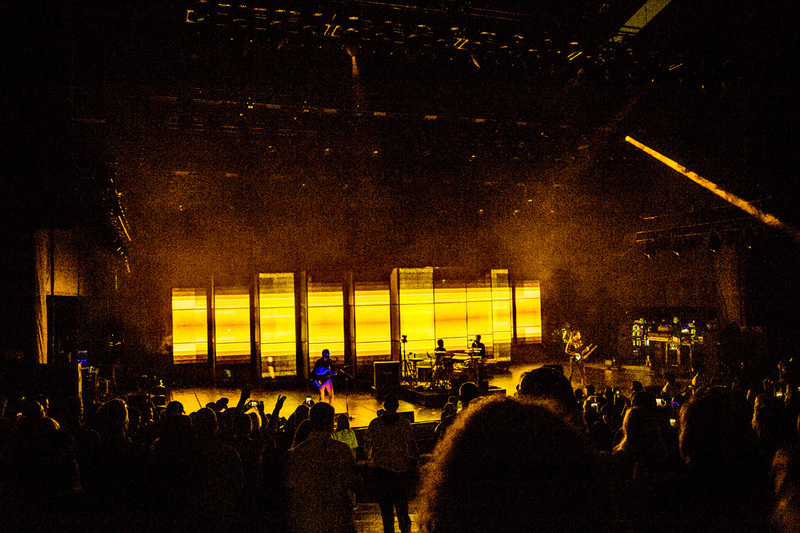 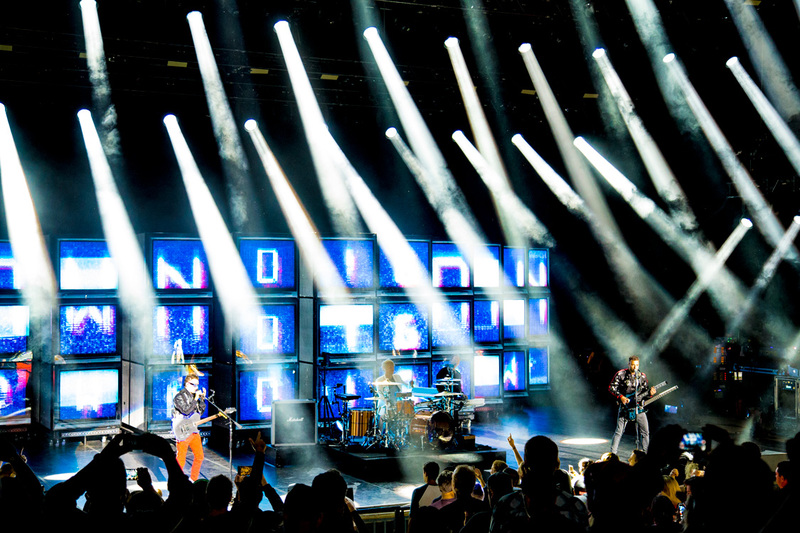 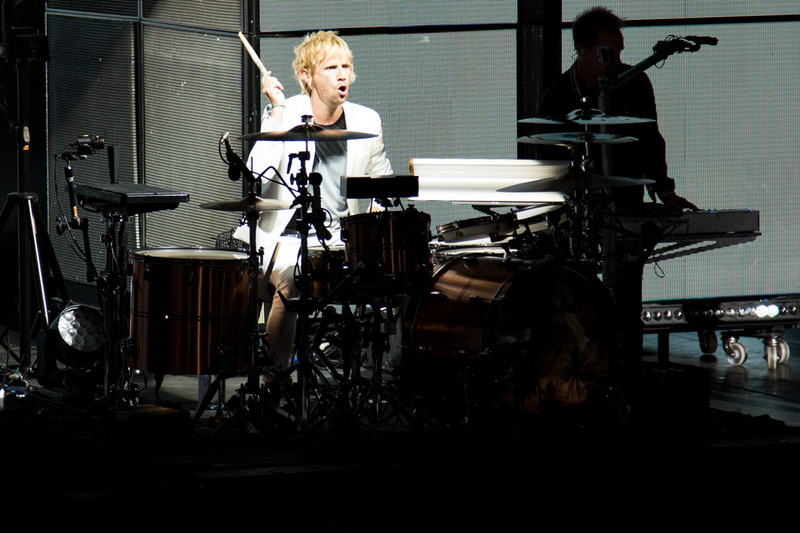 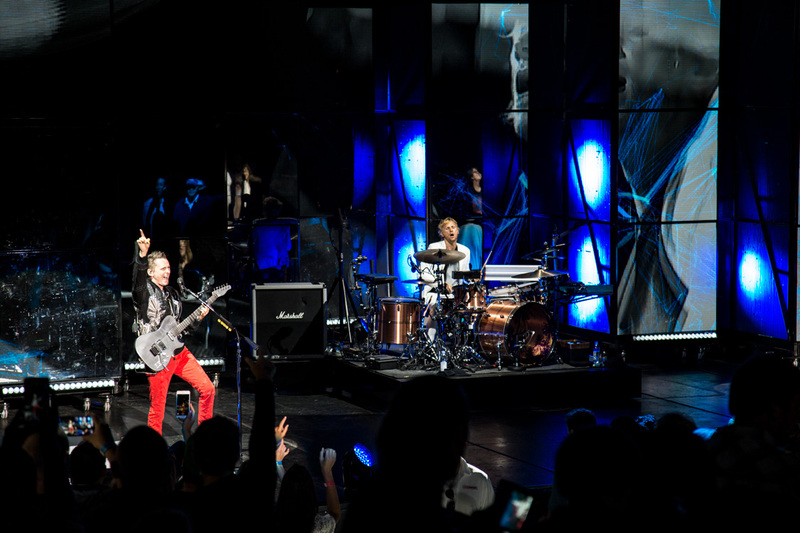 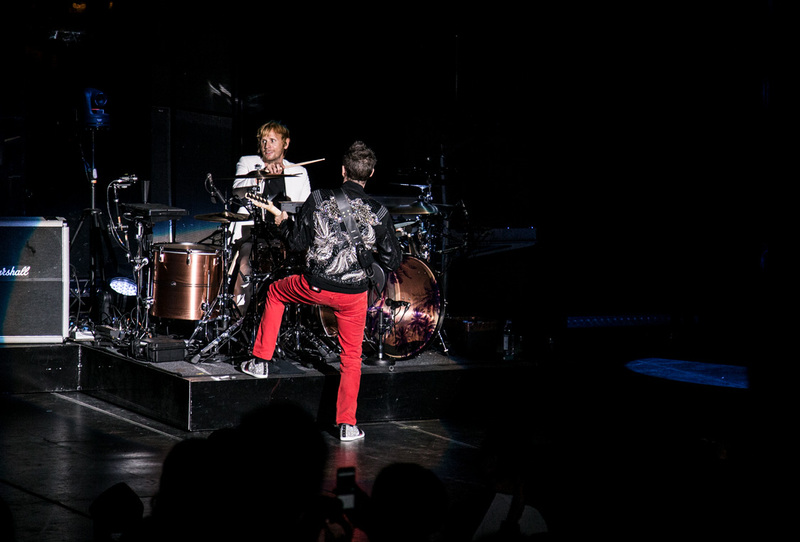 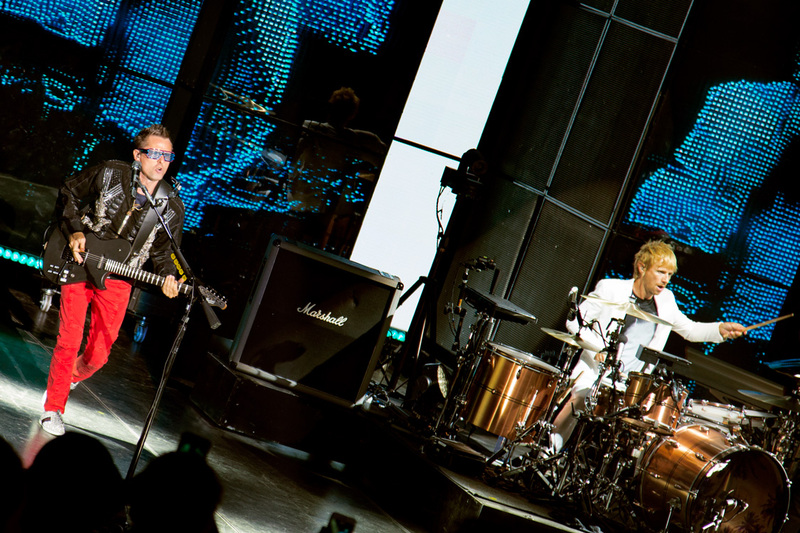 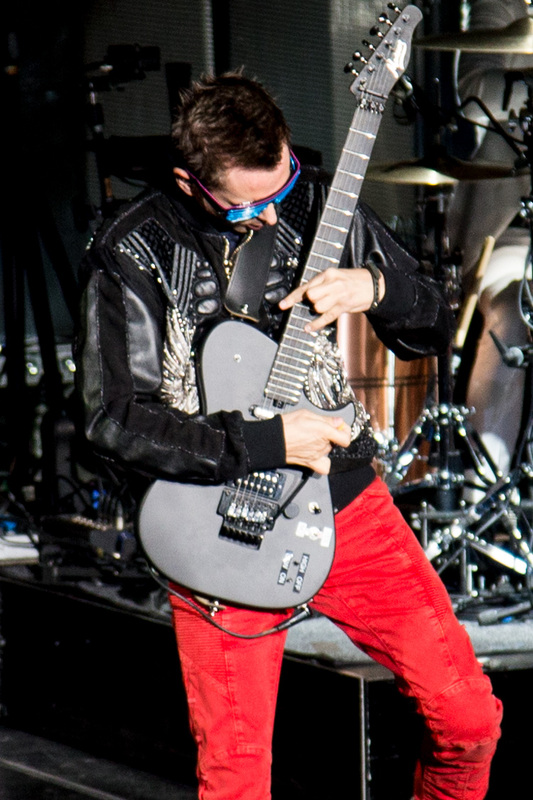 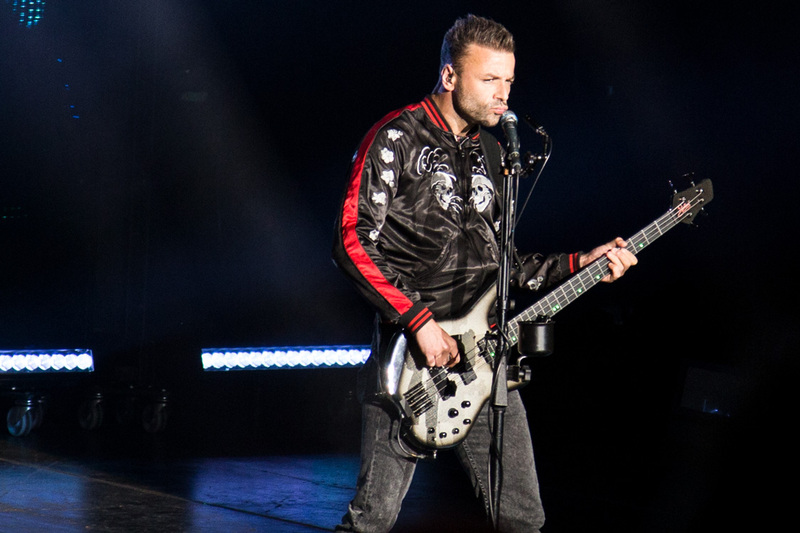 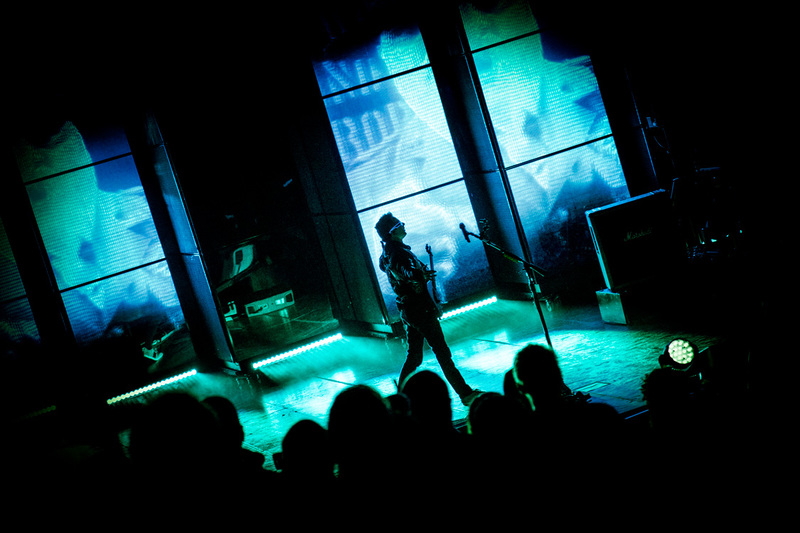 English rock band Muse has come a long way since the release of the trio's first album Showbiz, yet nothing screams show business quite like the light show Muse brought to the Shoreline Amphitheatre during the group's 2017 fall tour. 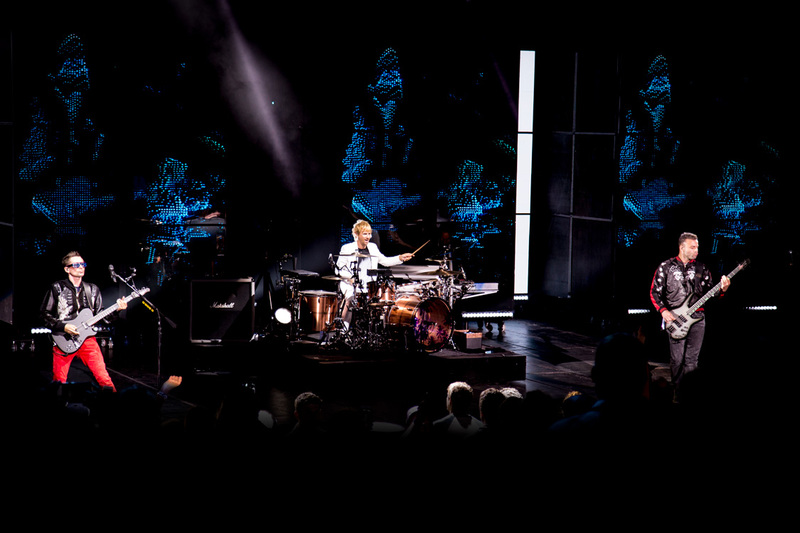 Whether you were in the front row or the back row of the band's sold out concert, there were no bad seats in the arena. 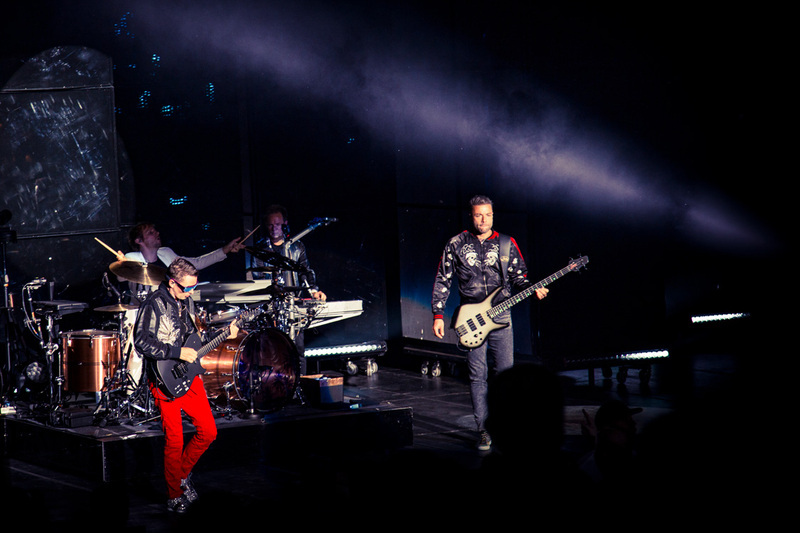 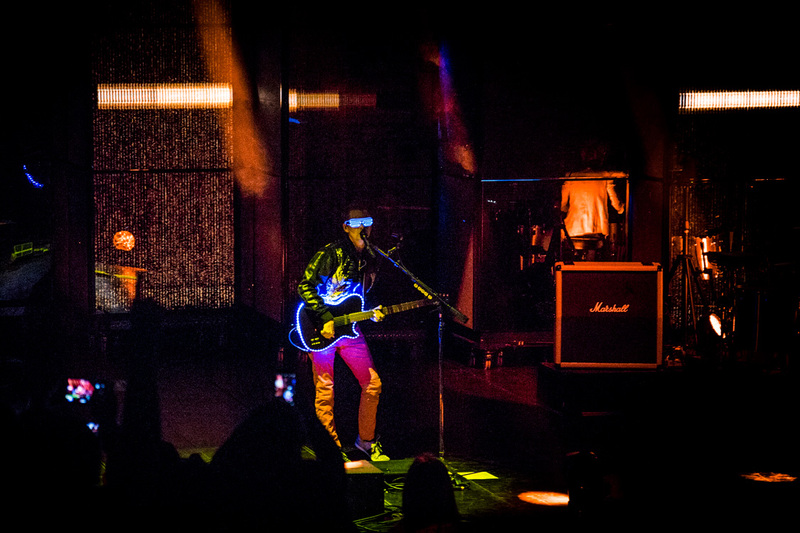 Lazer lights, giant inflatable balloons full of confetti and moving background projectors that look like something out of a time machine from the future, were just a few of the notable props which made the band's set an interactive theatrical performance. 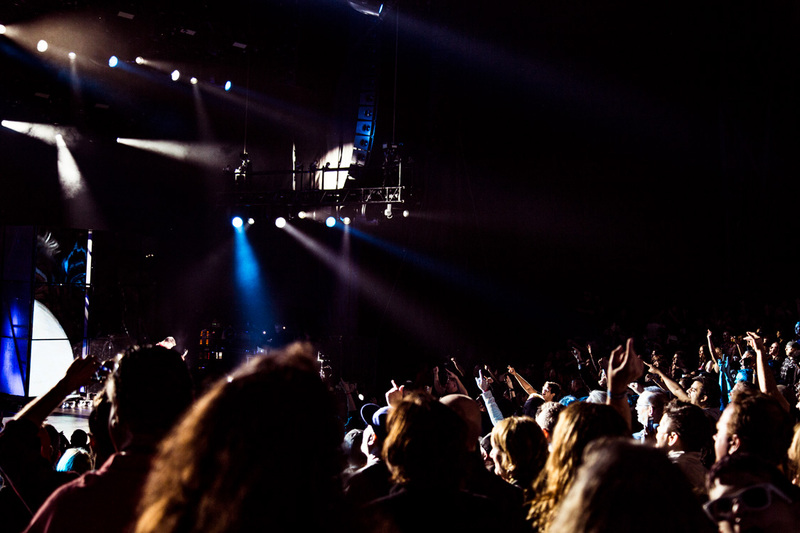 Click through our slideshow to catch a little piece of the action for yourself.